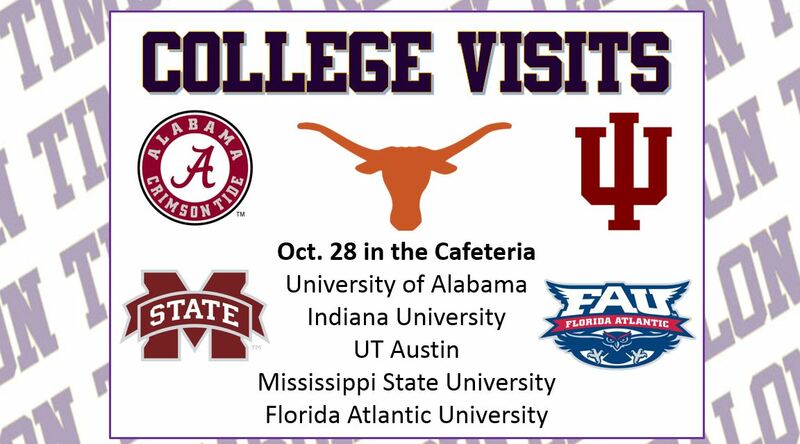 A number of colleges and universities will visit Timber Creek High School in the next few weeks. The Counseling Office posts information for upcoming college visits and scholarships through Edmodo for each graduating class. Student codes are below and will expire November 4th.